Our authentically styled Charioteer Helm will take you back to the days of old Greece. 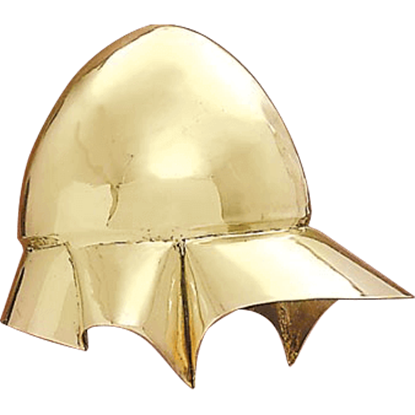 The helm portrayed in the great chariot races of history, this helm features a real hair tail plume, studded accents, and is hand crafted of brass. 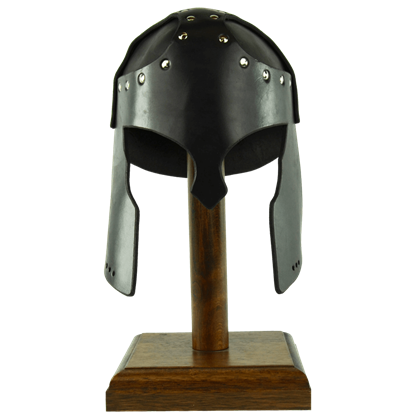 With its distinctive shape, the Antiqued Italo Corinthian Helmet is one of the most identifiable helmets of history. The iconic helm of the Spartan warrior, this helmet was favored by many Greeks because of its protective design. Perhaps almost as well known as the Greek city-state of Sparta was their rival, Athens. 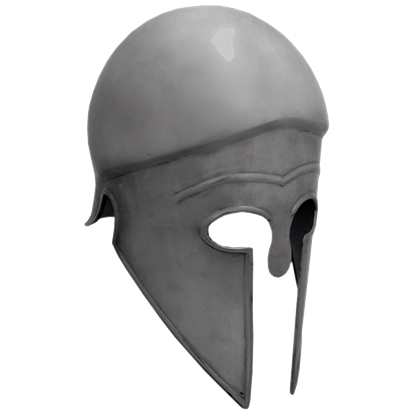 And as Sparta's rivals, their warriors were no slouches in battle, often wearing impressive helmets like the Athenian Hoplite Helmet into battle. The Boeotian Helmet originated in Boeotia, a region of Greece. The helmet is modeled after a folded down sunhat and is designed to provide for unimpeded hearing and vision, and thus it was primarily used by cavalry and mounted soldiers. 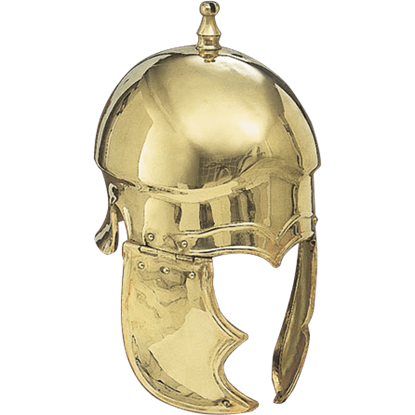 With its distinctive shape, the Brass Italo Corinthian Helmet is one of the most identifiable helmets of history. 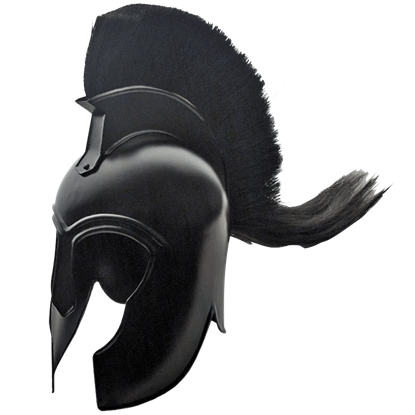 The iconic helm of the Spartan warrior, this helmet was favored by many Greeks because of its protective design. 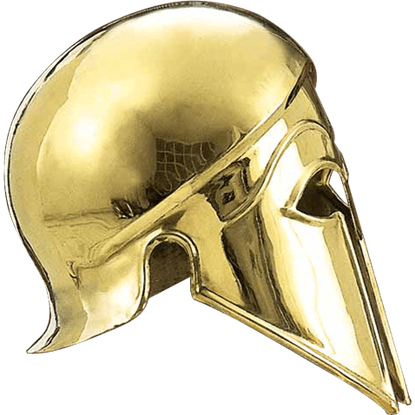 The iconic image of a Spartan is not complete unless he wears his bronze helmet. 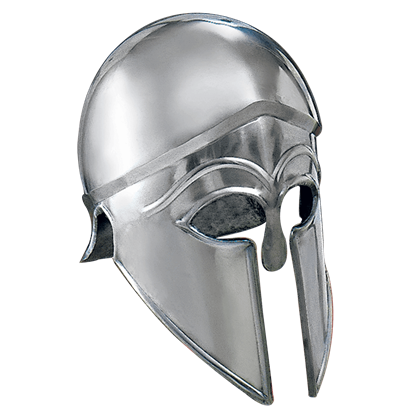 The Spartan's Corinthian Helmet, though, is no t merely a Spartan innovation, but rather a helmet that was favored and used by all ancient Greek warriors. 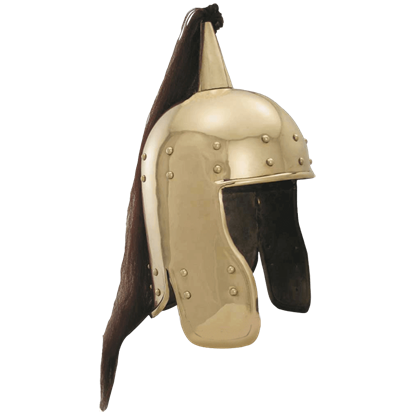 Recreating the classic style of the attic helm that originated in Attica, Greece, the Grecian Attic Helmet is a fantastic helmet that features an impressive and archaic look, despite the helmet style having lacked widespread use. According to artistic and archaeological findings, the Corinthian helmet is thought to be the most commonly worn helmet during the Archaic periods. 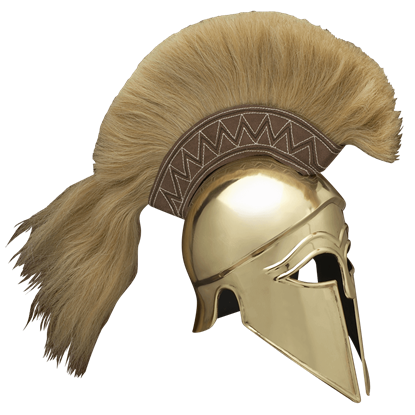 This Greek Corinthian Helmet offers a wonderful choice for display or costume wear. 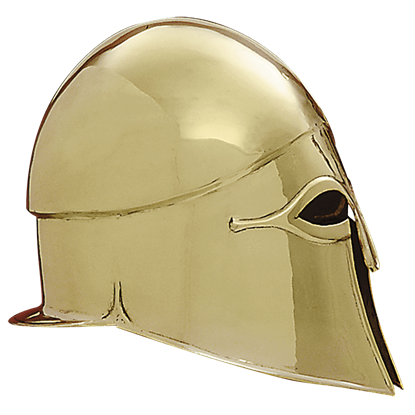 With its distinctive shape, the Italo Brass Corinthian Helm with Plume is one of the most identifiable helmets of history. The iconic helm of the Spartan warrior, this helmet was favored by many Greeks because of its protective design. 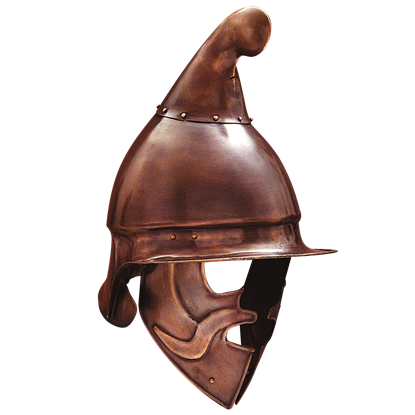 With its distinctive shape, the Italo Iron Corinthian Helmet is one of the most identifiable helmets of history. 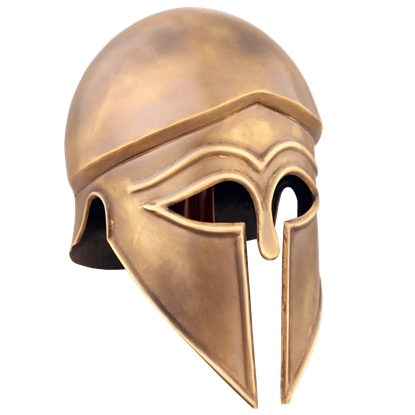 The iconic helm of the Spartan warrior, this helmet was favored by many Greeks because of its protective design.